It is a dedication and knowledge insider story about the danger threats which the honour proud men and women face every day, the danger they face when away from home and how they are brave veterans who serve and fight for world freedom every day, facing the unknown; It touches upon what fears they may go through every morning when they awake in a foreign land assigned as protectors or peace ambassadors. The author creates realistic and colorful characters and invites you to experience their everyday rituals of the life of a service person and their inner thoughts. Letting the reader senses the emotions and to know each individual in a special way. The additional bonus is the details about the team work of all people of all diversity coming together and supports each other when human tragedies become a reality and the faith they depend upon all to get through the darkness to save another life. It explores the behind the actions of all the parties involved in protecting and supporting the veterans; from the President of each nation, to the tyrants, terrorists and service personal and all the other players needed to protect and guard the safety of the world. Discussing the factors involved for all who are there to be supported or possibly to abused their position to gain their own greedy benefits and how it is vital for all to cooperate together for the safety of all. The competition between the departments' heads is somewhat witty as each director has their own show down guarding their authority. Author's words; "The UN Envoy seemed to be barely grasping what Phillips had just told him. Richard decided that now was the best time to swing the UN's demands back towards negotiating an outcome acceptable to not only the UN, but to the White House as well". Looking for voting buttons? Sorry, we don't let customers vote on their own reviews. Good men give their all. They are husbands, fathers, brothers and sons. They do it for their country. They do it for their families. They do it because they are `The Few and The Proud'. They are Marines. What do good men do when their government sets them up as target practice in an unwanted peacekeeping mission? What do they do when they are kept from performing their trained duties? What do good Marines do when the political hands that bind cause the deaths of hundreds of their brothers? For a few American Marines, the covert mission is more than a simple act of getting even. The operation is an act of duty and honor to fallen men. As is the American way, even well kept secrets leak out. Politics rears its ugly head, denying any form of retribution or violent acts on a people who would just as soon see all of America destroyed. The Warriors know better. Their strike will be fast and deadly. Is it enough? Will America mourn once again? 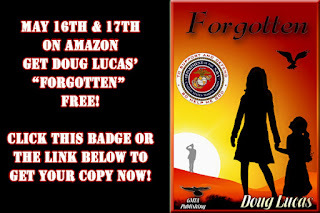 Author, Doug Lucas writes a masterpiece of military intrigue. His hypothesis on political control over military actions is astute and frightening. 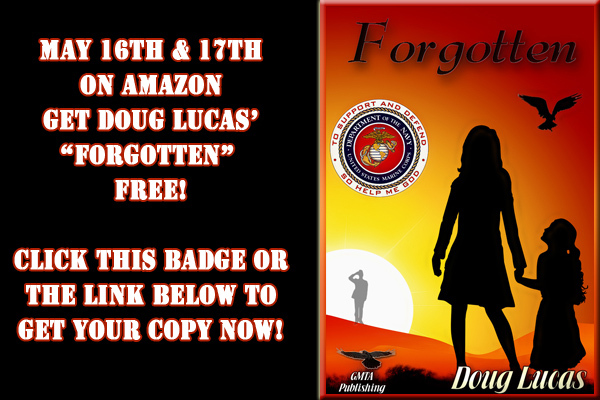 The story encompasses all facets of military strife. The characters capture your mind, daring you to walk a mile in their shoes and refusing nothing less than complete involvement in their cause. You willingly surrender your mind and live the life of those who protect us, those who will not be Forgotten. I admire an author who can write with such depth and emotion. I am one reader who will certainly never forget. Lee-Ann Graff-Vinson is the author of `Georgia's Smile', `Love's Trust', `Callie's Fate', `Love And Liberty' (now also available in print), and her most recent release `Queen Emily's Enchanted Kingdom - Sugarland', a children's picture book series available in kindle and print versions.